Found 5 file extension associations related to Analyze and 1 file format developed specifically for use with Analyze. Analyze is the most comprehensive, robust and productive software package available for 3D biomedical image visualization and analysis. 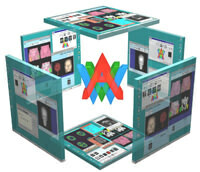 It is the synergistic integration of comprehensive and generic tools for visualization, processing, and quantitative analysis of biomedical images in a highly operator-interactive, intuitive interface has allowed surgeons, physicians, and basic scientists to explore large multidimensional biomedical image volumes efficiently and productively. The Analyze software seems to be old or discontinued. If you need more information please contact the developers of Analyze (Mayo Foundation for Medical Education and Research), or check out their product website.